First off is a mod guide by PSYK on how to modify your Mega Magnus to accept the Nerf clips that are used in Nerf’s clip system. It’s about 52 minutes long, but he pretty much goes over every step and you get to see him work on it. 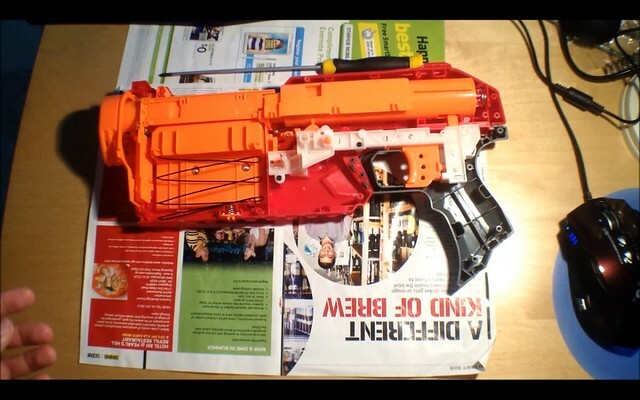 While doing this, we get a good look at the blaster’s internals. 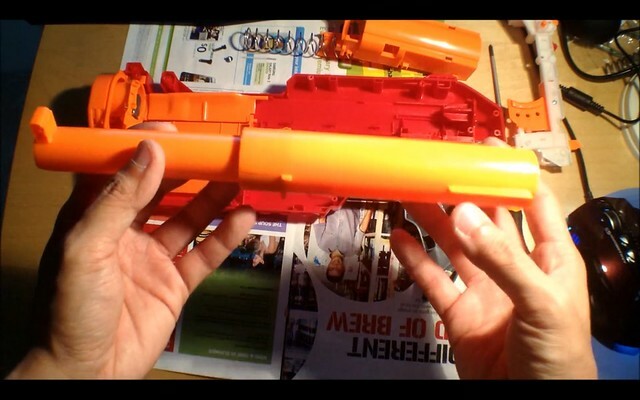 An initial internal shot of the Mega Magnus blaster. Video by PSYK, screen cap by Southern Brisbane Nerf Club. A look at the direct plunger of the Magnus. You can view more internal shots at the SBNC blog. There’s also photos of the trigger assembly and spring size on his site. He also included the math, and the range in feet, in his video. When he gets a solid shot off, it seems to get around 60 feet flat. You can watch his video above for more details on this range test. The last bit of news is that we have prices for 3 different prices for the Magnus depending on what country your in. Thanks to RandomShadow09. USA Price point is $14.99. 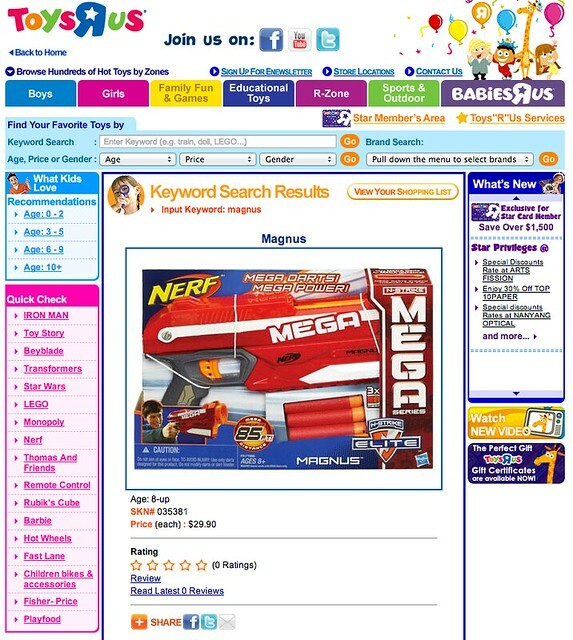 The Singapore price on Toys R Us, which also seems to be the only store selling it there at the moment, is $29.90. When I tried to look up the web listing, it only gives me an error at this point. Screencap thanks to Southern Brisbane Nerf Club. And again, the Canada Walmart price is $18.87, so the Magnus should cost around that in Canada depending on what store you get it at over there. 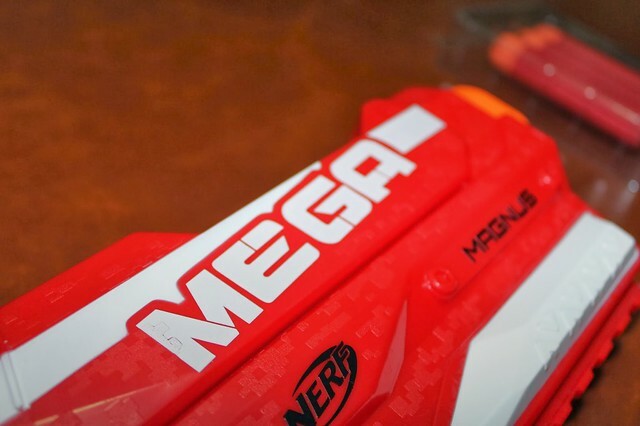 Previous PostUpcoming Nerf Mega Magnus Already Released in Hong KongNext PostCoop772’s Nerf Chat – What Is The Future of Blasters? Thanks for the update on that. I updated the post with that info.